A four person tent can be used as a family tent or as a backpacking tent for four people. When choosing a tent for a camping vacation, it is recommended that you pick a tent that offers double the space for the number of people that you will have with you. This will allow you to have space for your luggage inside the tent. So if two people are going camping, they may choose to get a 4 person tent for a more comfortable camping vacation. If you are a couple with small children, a 4 person tent could also work for you. ​For backpackers, sticking to the recommended number of people for a tent is better, since saving space and weight is crucial. In this article, we will discuss some different styles of 4 person tents and the best four person tents currently on the market based on user reviews. We will also discuss what features to look for to choose a good 4 person tent. This freestanding dome tent offers a spacious interior to make your camping trip more comfortable. It can fit 4 people with their sleeping bags or alternatively, it can fit one queen air mattress. Inverted seams and welded floors help to seal out water and keep you dry in rainy conditions. The InstaClip™ pole design allows you to set up the tent in just 15 minutes. The snag-free continuous pole sleeves make setup even easier. This tent has a shock-corded fiberglass frame, making it strong enough to hold up against wind. The coated polyester rainfly has an awning which provides rain and sun protection. A carrying bag is included for easy portability. Featuring WeatherTec’s patented welded floors and inverted seams, you are sure to stay dry in this Coleman Hooligan tent. The bathtub style floor is made of 1000D polyethylene. The full mesh inner tent provides maximum ventilation. 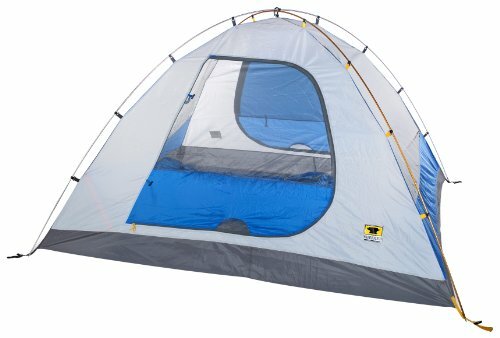 You can use this tent for a 4 person backpacking trip or for camping if you have a small family. The full coverage polyester rainfly will keep you dry and safe in harsh weather. The rainfly has an overhang at the entrance which provides a dry entryway. It is also nice because it gives you a place to store your shoes or other gear out of the sun and rain. This tent features a dome design and snag-free continuous pole sleeves to ensure you can get the tent set up in just 10-minutes. Setting up has never been easier with this Coleman Instant Cabin tent. The poles come pre-attached to the tent, forming a one piece design. This makes it easy for you to set up the tent in just 1-minute! After unfolding the tent, you extend the poles which will lock into place. The easy setup allows you to spend more time enjoying your camping trip with your friends and family. The cabin style of this tent gives you more interior space. The tent fabric is made of heavy-duty polyester taffeta and is water-resistant. The welded floor and inverted floor seams further ensure that you stay dry. 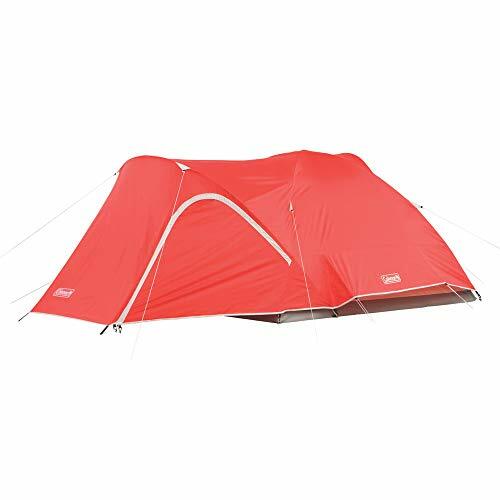 This tent does not have a separate rainfly since it is fully taped and protected from water leakage. 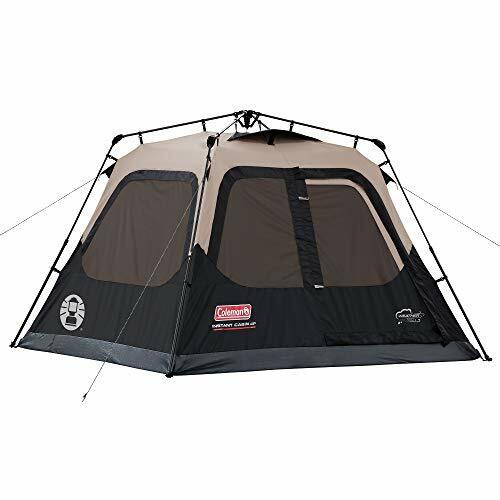 Featuring a cabin style form factor, this tent has a spacious interior and is ideal for family camping trips. It is also great for long camping trips. Four people can sleep in sleeping bags or you can use one queen-sized air mattress inside the tent. With pre-assembled poles, you can set up this tent in less than a minute. No need to spend time gathering all of the pieces of the tent and then trying to figure out how to set it up. You can spend less time setting up the tent, and more time having fun. The built-in rainfly will protect you from harsh weather. The rainfly has a vent in it to ensure good ventilation. The guy lines are reflective to make them visible at nighttime. One great thing about this tent is its center height is 68-inches. 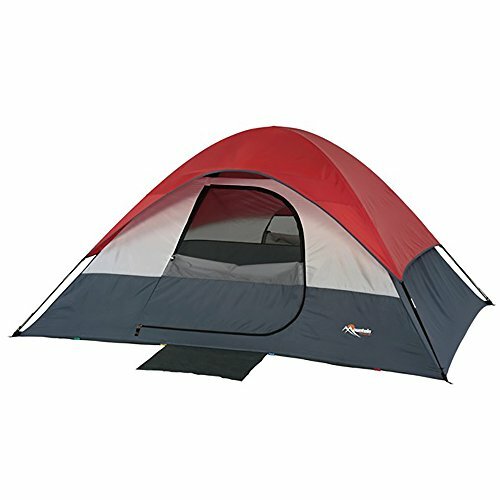 This allows you to comfortably stand up inside the tent. The interior is spacious, making it a nice family camping tent. It also makes a good backpacking tent as well. The screened in porch offers an outdoor hangout space with protection from bugs. The rainfly provides weather protection and there are awnings over the windows for further protection from rain and sun. The InstaClip™ pole attachments allow for an easy setup process and make the tent stable in windy conditions. When you want to set up your electrical appliances inside, simply use the electrical port. A queen-sized air mattress can easily fit inside this roomy tent. The shock-corded fiberglass frame in this tent has a pin-and-ring system for a quick and easy setup. You can use the gear loft and utility pocket to store your things, keeping the tent more organized. The attached mud mat help keeps the tent clean. 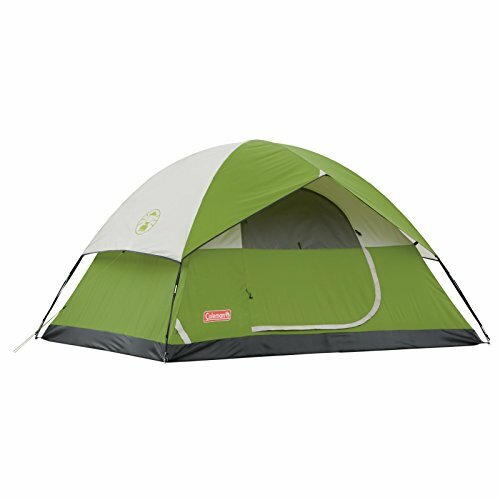 ​With high-strength aluminum poles, this tent is sure to hold up in windy conditions. It has undergone professional water testing and was found to have a waterproof index of over 4000mm. The skylight provides ventilation and allows more sunlight into the tent. It can also be opened at nighttime to gaze up at the stars. 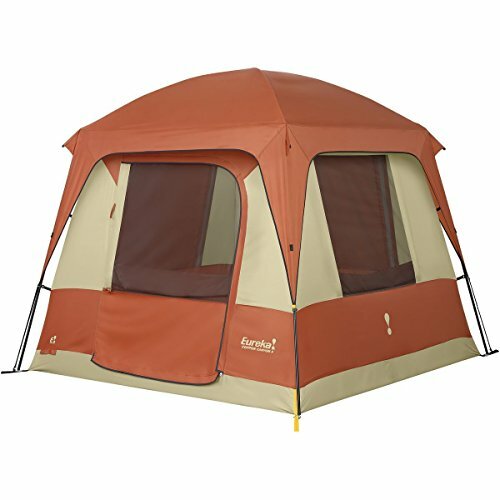 Featuring a 2 door design, you can conveniently go in and out of this tent without having to disturb your companions. It also has 2 vestibules so that you can easily store your things. The clip-pole attachment design makes this tent light and easy to set up. This tent is free-standing and has a simple 2 pole design for easy setup. The pole clips make assembling this tent even easier. With 2 vestibules for storage, you can easily keep all of your small items organized. The center height of this cabin-style tent is 84-inches, which makes the interior more comfortable. With 4 windows, one on each side, you can expect excellent ventilation. The frame is made of a combination of steel and fiberglass, making for a sturdy tent. Here are a few things to think about before buying a camping tent. When you start the search for a camping tent, you will soon notice that prices vary greatly. There are some very inexpensive options as well as some very pricey ones. The cost of tents can vary based on the material of the fabric and poles, portability, and other features. More expensive tents will often be higher quality than the cheapest ones. You should keep in mind what kind of conditions you will be camping in and how frequently you will be camping. What season will you be camping in? What will the terrain be like? Also keep in mind how many people you will be camping with. These factors will help you decide which tent best fits your needs. If you won't be camping often, you may choose to buy a cheaper tent. If you will be taking a longer camping vacation, you will want to make sure the tent will be comfortable enough. If you will be camping often, it is important to choose a durable tent that will last you many years. Most people choose to buy a 3 season tent if they will be camping in the spring, summer, or fall. For winter camping, it is best to choose a 4 season tent. If you will be backpacking, it is important to choose a lightweight tent so you won’t be uncomfortably weighed down. Besides being lightweight, it also needs to be durable enough to protect you from the elements. If you will be sharing the tent with others on your backpacking trip, you can all carry different pieces of the tent to make the load lighter for everyone. If you will be travelling to a campsite by vehicle, the weight of the tent is not likely to be a big issue. But you should pay attention to the packing size of the tent to make sure that you will have room for it. Since weather conditions are unpredictable, it is best to look for a tent design that is waterproof. The rainfly should be well constructed and have sealed seams to prevent water leakage. Look for a tent that has a bathtub style floor. The tent floor should also be waterproof. Pay attention to the materials of the poles and tent fabric, as these will play a role in durability. The zippers should be well made and sturdy, not snagging on the tent fabric. When it comes to 4 person tents, you will notice a few different styles: dome and cabin style. We will also discuss the revolutionary pop-up (or instant) tent design. Anytime you go to a camping site, you will notice that most of the tents there will be dome tents. Many of the smallest tents have a dome form factor, but also some larger tents as well. Dome tents are very popular for their easy setup. 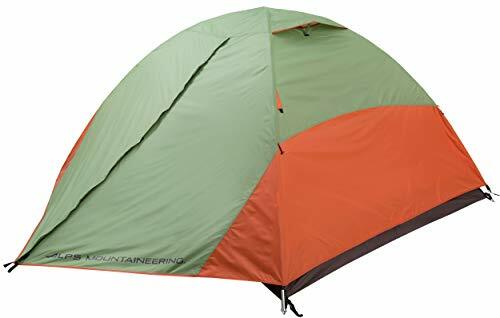 Some of the smallest dome tents have a simple 2 pole design. Bigger dome tents can have as many as 8 poles. The poles are fixed to a webbing strap, forming a dome shape. They are as easy to take down as they are to set up. Dome tents offer a sturdy design and they hold up well even in windy conditions. Most dome tents will have a groundsheet sewn in, which cuts the cost of having to buy a groundsheet separately. Another benefit with dome tents is that they are usually free-standing. Sometimes when you are camping, the weather can suddenly change, making your camping spot unsuitable. With a free-standing tent, you can quickly move the tent when needed. Dome tents are usually inexpensive compared to other styles of tents. Although the dome shape is a strong one, as it gets bigger it gets less sturdy. Cabin tents are very popular to use for family camping trips. The design makes them look like a small cabin. The biggest advantage they have over dome tents is that they offer much more interior space, making them more comfortable. The four walls of cabin tents are vertical which allows for more space. In dome tents, you can usually only stand up straight in the middle of the tent. With cabin tents, you can stand up and move around much more comfortably. You can walk around the tent freely. The vertical walls of cabin tents not only offer more space for you but also for your gear. There will be more room to set up your electrical appliances and to store your things. Since cabin tents offer more room to store your luggage, you won’t need to make many trips to your vehicle to retrieve items. Cabin tents are best for people who camp frequently or for those planning to take long camping trips. Camping has never been easier since manufacturers started producing instant tents. For those who have never set up a tent before, or if you just don’t want to spend a lot of time setting up a tent, an instant tent is a great option for you. The poles come pre-attached to the tent so you simply just extend the poles and lock them into place. Some other instant tents come have a sprung frame and come as a circular package. All you have to do is release the sprung frame and it pops up. Instant tents take only 1 minute or less to set up. 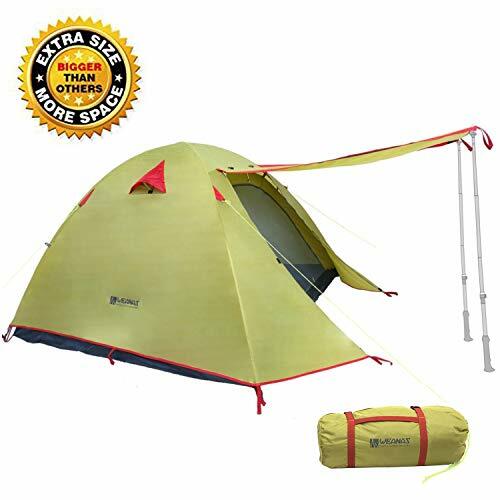 This allows you to spend the maximum amount of time having fun on your camping trip, instead of spending excessive time just getting the tent set up. Some instant tents don’t come with a rainfly but are sealed to make them waterproof. Pop-up tents usually weigh more than other style tents which is a disadvantage. They usually cost more than other tents as well. Camping tents come in a variety of styles and have all sorts of different features. You should decide which features mean the most to you to choose the best 4 person tent to meet your needs. Some features will be important to you based on your own personal preference. But there are some features any good 4 person tent should have. Keep both these factors in mind when deciding on which tent to buy. 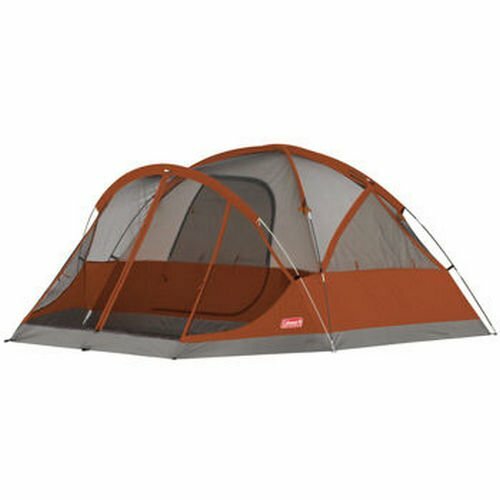 It is also good to check out 4 person tent reviews to see what users are saying about their purchases. Doing your homework before buying a tent will be time well spent. If you want to learn more about camping tents in general, please see our ultimate guide.